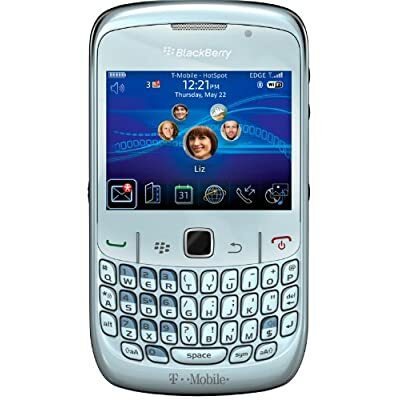 After Mr. Epstein attended the RIM event on Tuesday for the BlackBerry Curve 8520, I promptly snatched the review unit he received out of his hands when he got back to the office. Let’s not beat around the bush: a BlackBerry is going to either me or Michael and I was closest. It’s not the first time we’ve been fondling the BlackBerry 8520 but hey, we won’t complain. Available as of yesterday, the Curve 8520 throws the Curve lineup forward with a speedier processor, improved keyboard, more memory, new trackpad navigation system and other tweaks and additions like dedicated music keys. One thing we can’t for the life of us understand, though, is T-Mobile’s pricing. At $49.99 with a two-year this would have absolutely killed on T-Mobile’s network, but $130? Isn’t the BlackBerry Curve 8900 $199? Ok, T-Mobile’s lost it as the Curve 8900 is $149.99 on a two-year. Seriously? While this is still one of the most usable and solid low-to-mid-end handsets we’ve ever picked up, it’s no where near Curve 8900 territory (obviously on purpose by RIM). Our guess is within a month you’ll see this at around $99 or even lower on T-Mobile, but that’s just us. Back to the hardware… if you’ve been holding off on a BlackBerry for a while due to cost reasons or maybe you just always get your phone lost or dinged up, we have no problem recommending the BlackBerry Curve 8520. It’s a real solid piece of hardware — it’s a BlackBerry after all — it’s just as fast as the high-end BlackBerry devices out there, it’s pocketable, and functional. Want to see some photos? Hit the jump! WalMart is selling the 8520 for $48, Amazon for 99 cents, and I just saw it on bestbuy.com for FREE. Not bad. And I think it looks cool in the frost blue (Blueberry). Amiable place protect up your meet work.